Time to embrace Montana’s schizophrenic spring. Whatever you call it—mud season, shoulder season, early summer, extended winter, spring—this is not the time to expect bikinis and sunburn every day. Yes, rejoice when it happens, but don’t let your anticipation of summer ruin the day. 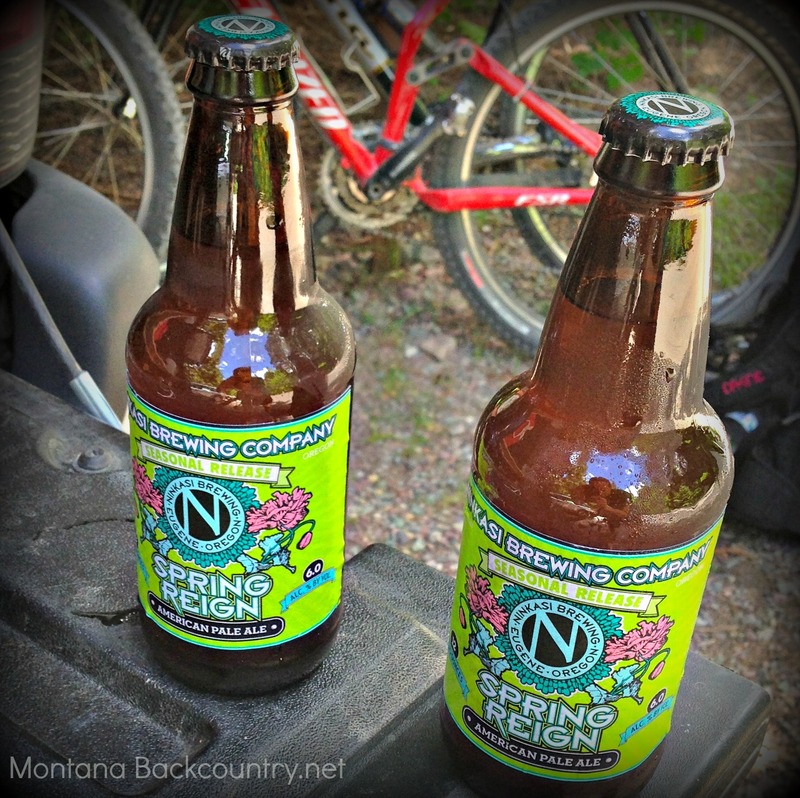 The best approach to spring in Montana? Embrace it for whatever it is, each hour, each day. Meet its split personality with one of your own. From obstacle-course skinning to meadows of flowers. There’s nothing better than sneaking in a bright, sunny day of spring skiing. Before you go, brush up on your wet slab avalanche conditions. That’s right. Spring sales. Cheap skis. If you work on a budget, now’s the time to replace worn-out winter gear. I scored an amazing deal on Black Diamond skis on The Clymb this month, replacing an eight-year-old setup that felt a bit like skinning with sandbags around your ankles. Looking at the new skis leaning against the wall just makes me grin. Bump up the training runs. Make sure your posterior chain is solid. Get in sport-specific training so that you’re ready to crank on the rock, or pound down a mountain without too much wear. (As we get older, strength training also becomes a necessary insurance policy for injury prevention.) This means hitting the gym a little more often and planning some workouts, but it puts you way ahead of the game once summer’s long efforts in the backcountry arrive. Example: Don’s pre-season program for rock climbing. Bike, hike, skin, ski. And reverse. The trails aren’t fully melted out and the slopes aren’t knee deep powder anymore, so to pull an epic long day in the backcountry, you need to link it up. 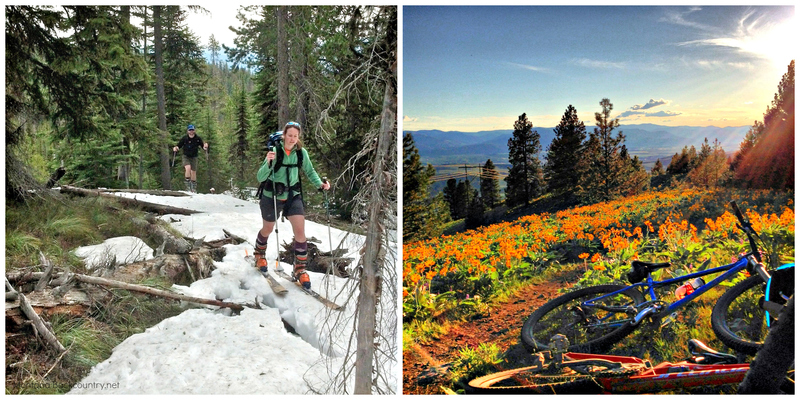 Bike up a forest service road, hike the snow/dirt section, then skin, and ski (and reverse it). For evening workouts, a short bike on clear trails/road followed by a quick run combines for an excellent “brick” workout. Likewise, a lunch-time strength workout followed by an evening run or hike can almost make you forget you had to spend eight hours in front of a computer. River rats don’t need any reminders to get on the river this time of year. But if you aren’t a river rat, you might want to be a spectator. 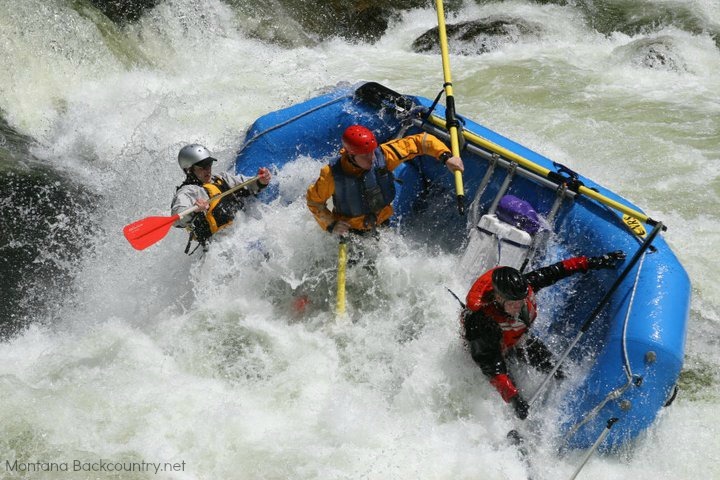 The Lochsa River, for instance, is a great place to pull up a camp chair and watch the experts hit some white water. Ride Going-to-the-Sun road. There’s a beautiful “shoulder season” of plowed roads, great cycling, and no automobiles. (While it may not quite be the “backcountry,” it sure is a spectacular way to see a place that can’t be enjoyed in quite the same way the rest of the year.) Here’s a report from last spring’s ride. Plan on hunting during archery season? Don and Eric build up their muscle memory and strength starting in April to get ready for the autumn elk season. They call it Triple A (Arrows April to August). Read more about that here. Old dogs, especially, love camping in wall tents. Too cold for the backpacking tent? Enter tents with stoves. We have two. For the backcountry, a Seek Outside tipi tent has a small titanium stove that keeps things warm. Car camping? 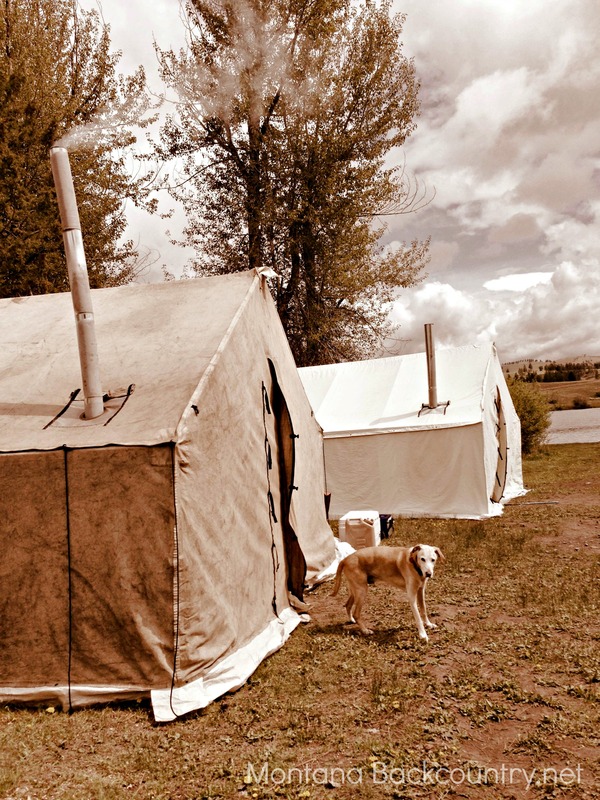 We’ve been known to pull out the wall tent and its metal frame in April so we can bring the families along, enjoy the fine spring days, keep out of a rain shower, and stay toasty warm at night. If you dress to stay warm and keep the right attitude (and find the right adventure buddy), a rainy-day run, bike, or hike can take on an exuberant, child-stomping-in-mud-puddles feel. The hardest part is always getting out the door. After that, practice embracing your inner child. Tip: I don’t have booties for my bike shoes, but neoprene socks are a great substitute on cold, wet rides. Plastic bags over socks have also worked. For fingers, I do wool liner gloves paired with a windproof shell. If you can’t take it any longer, join the annual migration of Montanans to the desert and get your fix. Cheers! Here’s to a great spring season.